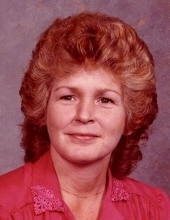 Mrs. Medley – Betty Lou Medley, 72, passed away Monday January 28, 2019 . She was the widow of William Earl Medley, Jr.
Mrs. Medley was born June 30, 1946 in Maysville to the late Warder Lee and Evelyn Bothman Dickson. She was a former employee of January and Wood and US Shoe. Survivors include her children, Glenn (Rinda Ward) Sexton, of Maysville, Glenda (Susie) Sexton of Flemingsburg, and Lisa (Dean) Hampton of Maysville; grandchildren, Jeremy (Sarah) Hampton, Dylan (Kim) Earls, Lyndsey (Cord) Nickoson, Brian Johnson, Cayleigh Glyn Sexton and Braxton Cole Sexton; and a sister Penny Rice. In addition to her husband and parents, she is preceded in death by her brothers Raymond “Sonny” Dickson and Douglas Dickson and sisters, Dorothy Armstrong, Barb Beckett and Sue Bellamy. Services for Betty Medley will be at 1:00 p.m. Friday, February 1, 2019 at Brell and Son Funeral Home with Rev. David Sugarbaker officiaitng. Burial will follow in Maysville Cemetery. Visitation will be from 11:00 a.m. until the time of the service on Friday. To send flowers or a remembrance gift to the family of Betty Lou Medley, please visit our Tribute Store. "Email Address" would like to share the life celebration of Betty Lou Medley. Click on the "link" to go to share a favorite memory or leave a condolence message for the family.